Partners In Primary Care (PIPC) is growing in the Greater Kansas City area. As we continue to expand, we are looking for experienced BC/BE Family Medicine, Geriatric and Internal Medicine physicians to come grow with us and be a vital part of our innovative value-based practices. At Partners In Primary Care, we believe and practice that healthy patients are possible only by a healthy staff. That's why we limit our physicians' patient panels and support our physicians with a team that includes Physician Extenders, Medical Assistants, Care Coaches, Referral Specialists, Certified Coders, and experienced Administrative staff. Because of our Care Team approach, our patients have come to trust us to meet all their health needs. We work hard to deliver a level of care that provides them with the respect and dignity they rightfully deserve. Kansas City sits on Missouri's western edge, straddling the border with Kansas. It's known for its barbecue, jazz heritage, and beautiful parks. The suburban areas are particularly attractive to families for their safety and great schools. The cost of living in Kansas City, Missouri is less than other major metro areas like Chicago. 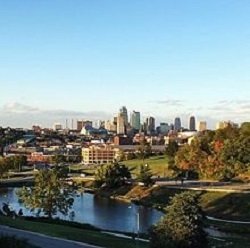 For those who like to travel, Kansas City's KCI International Airport is located on the north edge of the metro area.